My name is Dustin Wilcox and I recently d a Real Tuff chute, tub, and 16ft alley. Today we worked 73 cows and 66 calves with no problem. I attached a picture of my 5 year old son poking calves through on the catwalk of the alley. Great equipment! 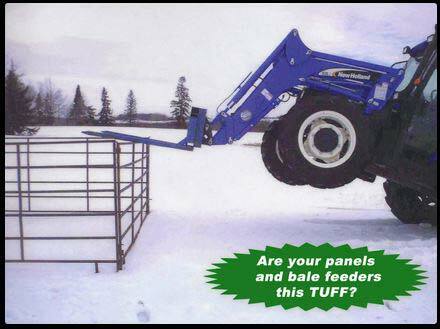 Our livestock handling equipment is truly “Real Tuff!” Look at our picture of the tractor on the panels above. 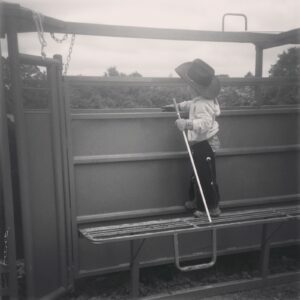 The owners of the Livestock Handling Equipment are farmers/ranchers themselves. They have done and do cows! The livestock handling equipment is put to the test on an owner’s cows. 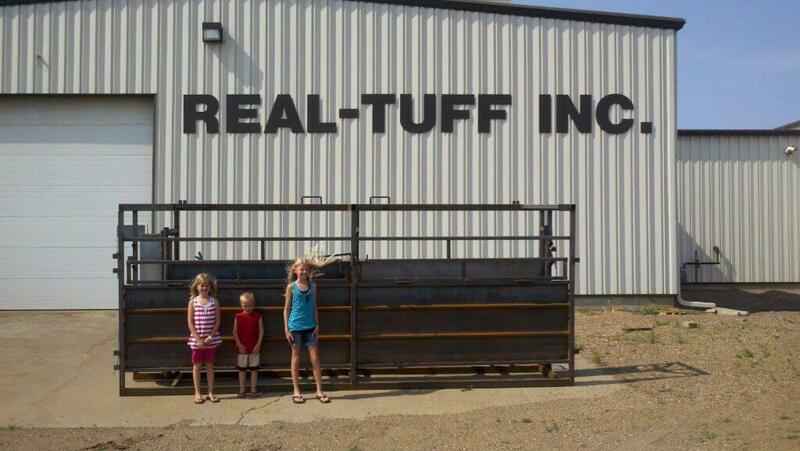 Real Tuff sells a full line of livestock handling equipment including, cattle squeeze chutes, portable handling systems, cattle alley sections, cattle handling tubs, ¼ circular maternity pens, corral panels, bale feeders, stand alone panels, windbreak panels, Walk in gate panels, hoof trimming chutes, cattle scales with cattle ready livestock handling equipment, cattle loading chutes, splitting alleys, chute carts, panel carts and much more. 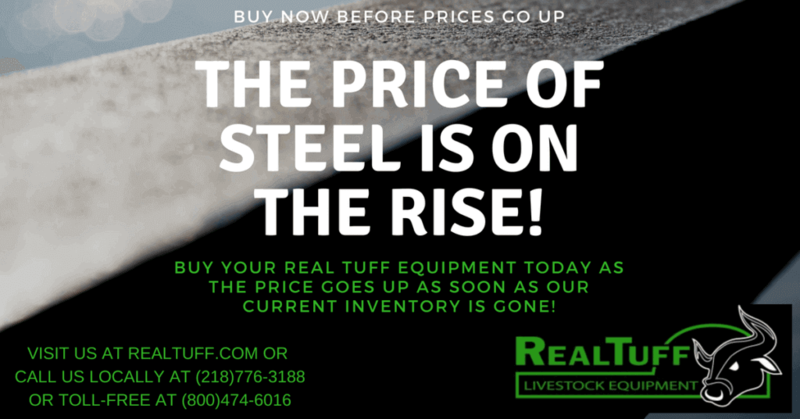 Stearns Bank Offers Financing for Real Tuff! financing for your unique business needs.